History is everywhere you look in the Bailiwick of Guernsey; it is woven into the fabric of our islands and in some cases, built over them. 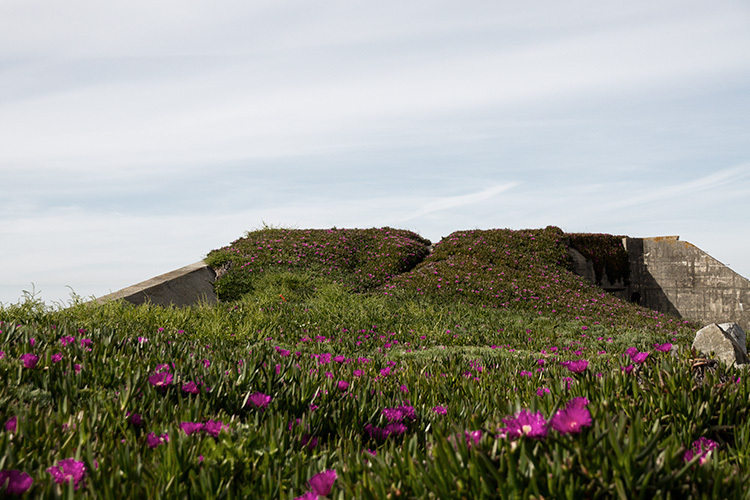 Arguably the most important period in the history of the Channel Islands is the relatively recent chapter concerning the German Occupation during World War Two. The Occupation and life under German rule impacted upon every facet of life here, and the results of those five awful years still reverberate through modern-day Guernsey; Liberation Day on May 9th is a major public holiday and day of celebration. In the lead-up to this year’s Heritage Festival, and the release of the film adaptation of The Guernsey Literary and Potato Peel Pie Society on April 20th (which is set on Guernsey in the period following liberation), we have been researching the history of The Bella Luce to uncover our building’s history and Occupation story. In the summer of 1940 the invading German Army of Hitler’s Third Reich overran Northern France, taking control of Normandy’s Contentin Peninsula, which was in sight of The Channel Islands. Alderney, only eight miles offshore, was not only within sight but also within range of the German artillery. On June 19th the British Government decided that the islands could not be defended and demilitarised them ahead of an expected German invasion, subsequently organising the evacuation of over half of Guernsey’s population (more than 23,000 people) to the UK. The demilitarisation was, alas, not communicated to the Germans and thus on Friday June 28th a reconnaissance raid on St Peter Port harbour by nine Luftwaffe aircraft killed 33 civilians. Following hasty announcements to inform the Germans of the lack of military or defence forces on the Channel Islands (aimed at avoiding a hostile military invasion), on the evening of Sunday June 30th four German planes landed and discharged soldiers, and The Bailiwick of Guernsey surrendered and became occupied by the enemy. The years that followed, before liberation on May 9th 1945, were ones of immense hardship and struggle for islanders. The countless stories of courage and resilience in the face of occupation and oppression by an enemy force are too numerous to cover in the detail that they deserve here, and thus we will focus in on The Bella’s story. As was the case across many of the nations occupied during WWII, the invaders confiscated homes, hotels and any useful or strategically important buildings to accommodate their personnel and military operations. 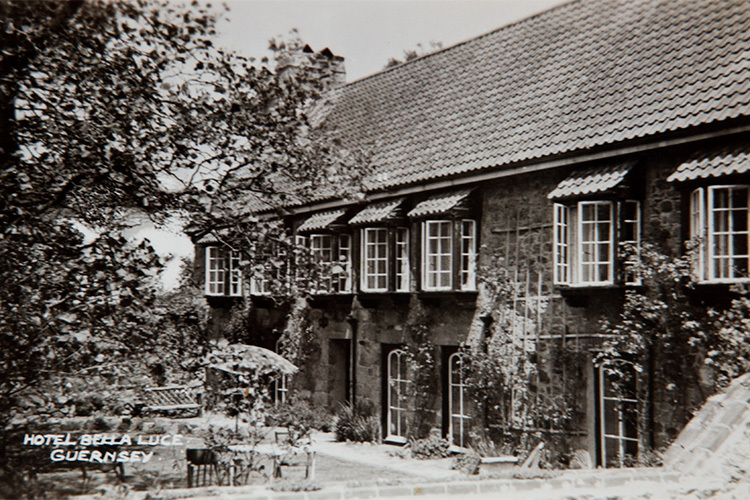 This was the fate of The Hotel Bella Luce (as it was known then) during Guernsey’s occupation, the historic building having been converted from a private home into a hotel in the 1920s. In August of 1941, the Luftwaffe’s Flak Regiment 39 (an anti-aircraft artillery regiment) were posted to Guernsey, shortly before Hitler issued a directive to permanently fortify the Channel Islands as part of the Atlantic Wall – a move that became known as “Inselwhan” or “Island Madness” amongst some senior German commanders. This episode saw the smothering in concrete of much of Guernsey’s coast (8% of the concrete used in the Atlantic Wall along the Channel coast was used to fortify Guernsey), the installation of over 600 heavy guns and a vast network of tunnels to store ammunition and a railway line to service and resupply them, all built using slave labour. A complete division of over 36,000 troops was allocated to the Channel Islands, and in Guernsey an underground hospital with 600 beds was constructed. 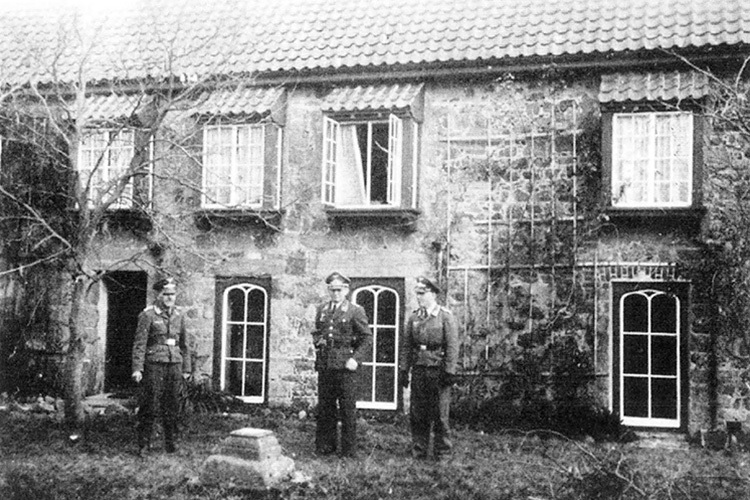 Upon their arrival, an advance command signals officer in Flak Regiment 39 named Oberstleutnant Friedrich Rammel, was charged with inspecting accommodations in St Martins and assigning billets for the regiment staff who were shortly to arrive. Many of the large houses had been abandoned by their owners (many of whom had retired to the island) when they were evacuated to the British mainland, and the Luftwaffe occupied these homes, confiscated their abandoned vehicles and connected all of the telephone lines to a central switchboard. Nearby Sausmarez Manor escaped this fate because Sir Havilland de Sausmarez and his wife Annie had refused to install electricity and thus the building was less attractive to the Germans. Sir Havilland died in 1941, and his wife lived there alone for the remainder of the Occupation. The Bella Luce however, due to its size, numerous bedrooms and social and dining spaces was an obvious target for the Luftwaffe who evicted the owners and moved in. One story that we were delighted to validate through the course of our research was that of “the buried booze”, also detailed in Dr. Rammel’s memoirs. He tells the story of how on one free weekend a number of non-commissioned officers and other ranks were relaxing in the garden at The Bella Luce. Several were walking the grounds and noticed a manhole cover in the hotel’s porch. Upon investigation two large pottery containers were discovered inside, evidently hurriedly hidden by the hotel’s owners and staff shortly before they were evicted. The experiences of the German soldiers based in Guernsey and our sister Channel Islands were not all as high-spirited as the one detailed above, particularly as the war progressed and the tide of war turned against them. Following the Allied invasion of Normandy on D-Day (June 6th of 1944), from which the Channel Islands were excluded, the local population and the German troops (effectively both the prisoners and their prison guards) would endure 11 months of incredible hardship as stocks of food and fuel ran so low in the besieged Bailiwick as to create near-starvation conditions for both. Some relief for locals came in the form of deliveries from a Red Cross ship just after Christmas 1944, of which the German soldiers were forbidden from interfering with on threat of court-martial. It wasn’t until 7.15 am on May 9th, 1945, however that an unconditional surrender by the German forces occupying Guernsey was signed by Major General Heine aboard H.M.S. Bulldog on behalf of the German commandant Vice Admiral Huffmeier, and this tragic chapter of our island’s history was drawn to a close. The knowledge that, during those years of occupation, German officers walked these corridors and celebrated a Christmas in the dining room could feel somewhat spooky. This fact is true for many, many hotels and houses not only across the Channel Islands but also across much of Northern Europe. This baggage is a price that we pay for our beautiful historic building, as we can’t influence or change the past. What we must remember is that wars are composed of a great many human stories and that there were honourable people on both sides, and some German soldiers who were not fanatical Nazis. 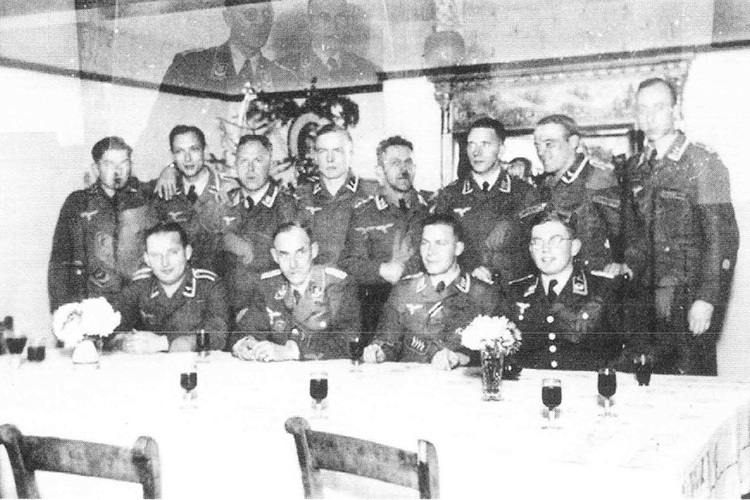 In another life or another time, some of the men in these pictures could have been welcome paying guests at The Bella Luce, rather than unwelcome soldiers from an aggressive occupying regime, wearing walking boots and jumpers rather than jackboots and military jackets. Had that been the case, they would have been welcome to that whiskey. On May 4th we’ll be welcoming diners for an Occupation Dinner featuring a luxurious spin on an occupation menu and a specially distilled Wheadon’s Gin infusion. Booking is essential, and be sure to come dressed in your finest 40’s fashion! Our sincere thanks to Steve Powell and the Channel Islands Occupation Society (Guernsey) for assisting us so greatly in our research of The Bella Luce’s occupation story, and for allowing us to reprint their research and images. You can find out more about various other Heritage Festival events on our “2018: A Vintage Year for Guernsey” article, including tours of Sausmarez Manor, bicycle tours, vintage coach tours, and “First Commando” tours – the fascinating story of which can be found here.